In the past few weeks I’ve been able to spend time in places where the clock seems to have stood still, at least the Mid-Atlantic clock I’m used to. Up in the North Sea, on the magnificent Faroe Islands, people don’t lock their cars or houses. They don’t need to, there’s no crime. Instead, you feel the strong bonds of community. Walk over, knock and open their front door if you want to see someone. 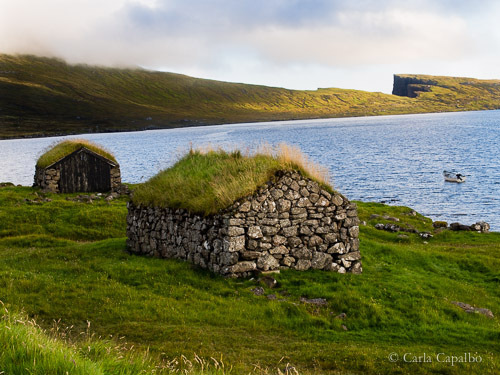 People’s living rooms are big in the Faroes because that’s where families and friends congregate, sitting around long dining tables to talk and eat together in the evenings. There’s an active and admirable social commitment to share there, whether it’s the communal guardianship of the mountains and their precious lamb pastures, or the equally important division of the meat from each whale that the community fishes. There are few vegetables or fruits on these islands and before modern commerce allowed for the transportation of fresh produce, whale meat and blubber provided the life-saving vitamins and minerals other societies get from their plants. It’s a pleasure – and an honour – to be in a place where pollution has not taken the toll we’re all too used to in more industrially developed parts of the world. 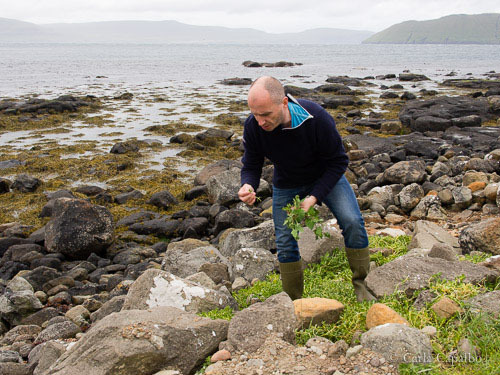 In the Faroes the ocean is so clean the shellfish tastes sweet; the air is limpid and pristine. However it’s a bit disquieting to live in a landscape almost without trees. I thought that must be because of wind or weather (though the Guf Stream stops the temperatures from ever falling too far below zero °C). No, it seems the revered sheep graze everything down to the ground, so there are no bushes or higher plants. I was fascinated by the ‘set-aside’ experiments being carried out in several parts of the islands: small tracts are being fenced so the sheep can’t access them, the idea being to allow them to just grow naturally for 10 years. The islanders are the first to be curious about what will happen. In Hatay, south-eastern Turkey, just 40 kilometres from the Syrian border, it’s a different picture. If the current political situation is clearly on people’s minds, the traditional way of life, especially in the kitchen, belies this concern. The culture of hospitality and openness was striking to me, in particular among women, who communicated their sympathy without the need for a shared language. Hatay is famous for its religious and social tolerance: twelve civilizations – from the Hitities to the Romans and Greeks – left their cultural footprints here and today’s Hatay boasts a peaceful co-existence among religions and races. There’s even an inter-denominational choir, the Civilizations Chorus, that sings songs from many faiths in dozens of languages. 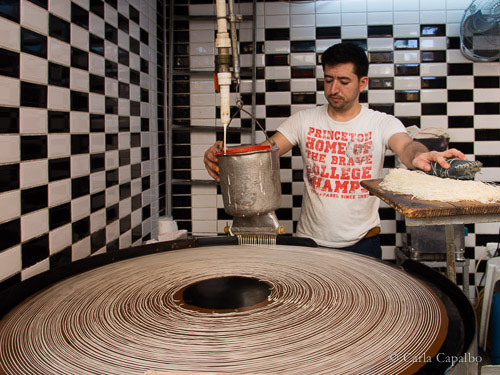 The colourful Bazaar at the heart of the old city of Antakya – or Antioch – is notable for its generous shopkeepers still making so many of the great Turkish specialities by hand, from the firin bakeries producing the daily pide breads to the unique local dessert, künefe. This delicious tart sees a layer of mild but stretchy cheese sandwiched between two layers of crisp, buttery kadayif. 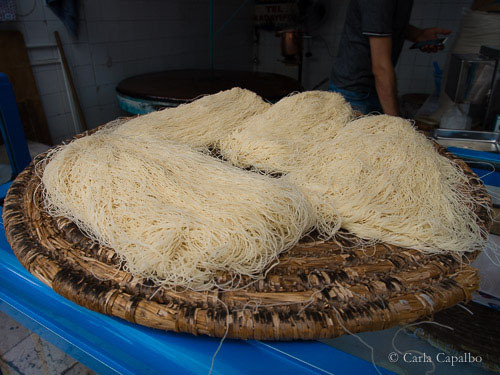 The kadayif – fine, hair-like strands of filo pastry – is made in special stalls with large spinning hotplates that look like a disc jockey’s turntable more than a baker’s tool. 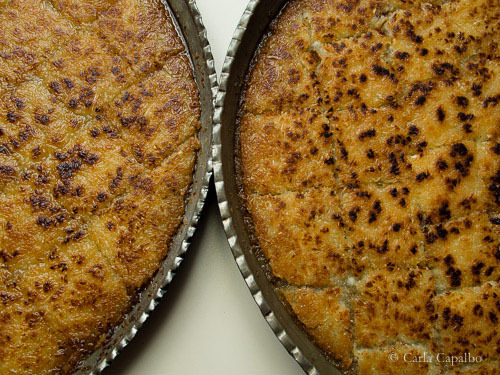 The kadayif is chopped, mixed with melted butter and spread out into wide, round baking trays before being cooked until golden over wood embers. As the Michelin guide would say, ça vaut le voyage. Next post: Me at MAD!